Washington DC is beautiful during the winter. There are wonderful decorations, diverse celebrations, and snow covered marble everywhere you look. New York can get dreary in the winter with grey snow and too many tourists but DC gains a magical quality. 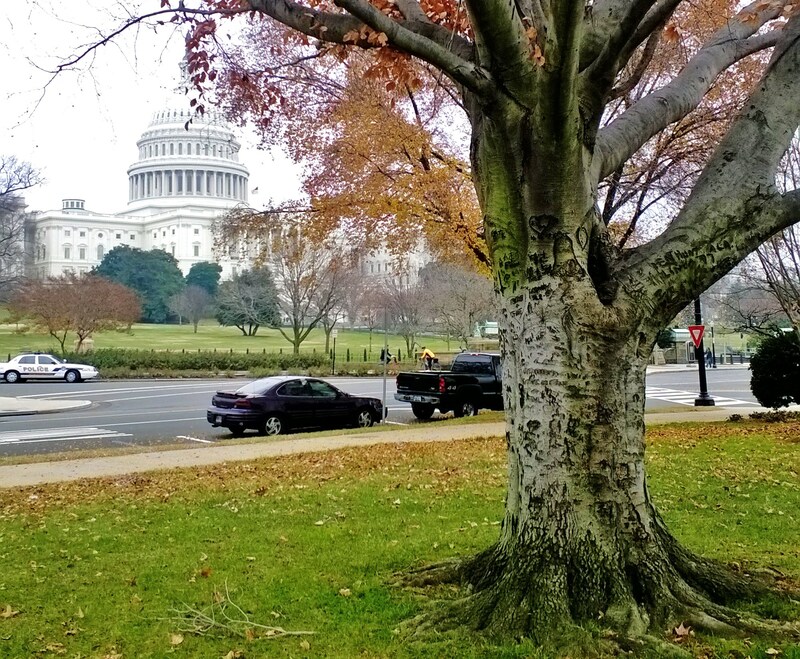 Here is my celebration of our nation’s capitol with my favorite holiday trees of the city. 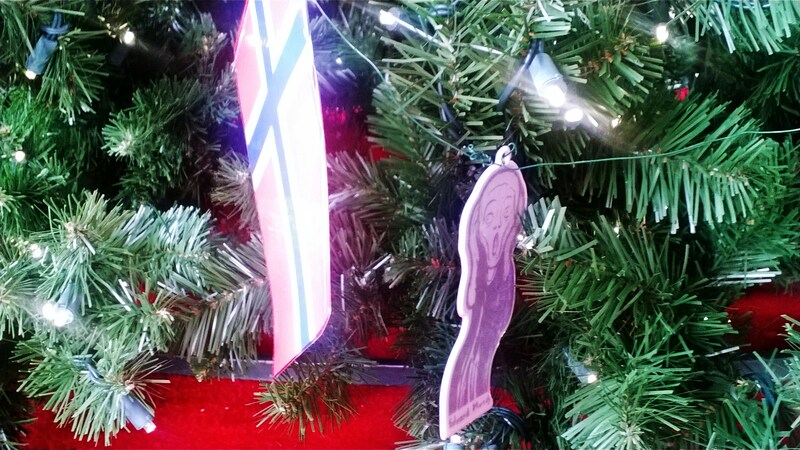 My favorite DC Christmas Tree is the Norway Friendship Tree. A gigantic Tree is given to the United States every year from our northern pals in Norway as a thank you for our help in WWII and after. 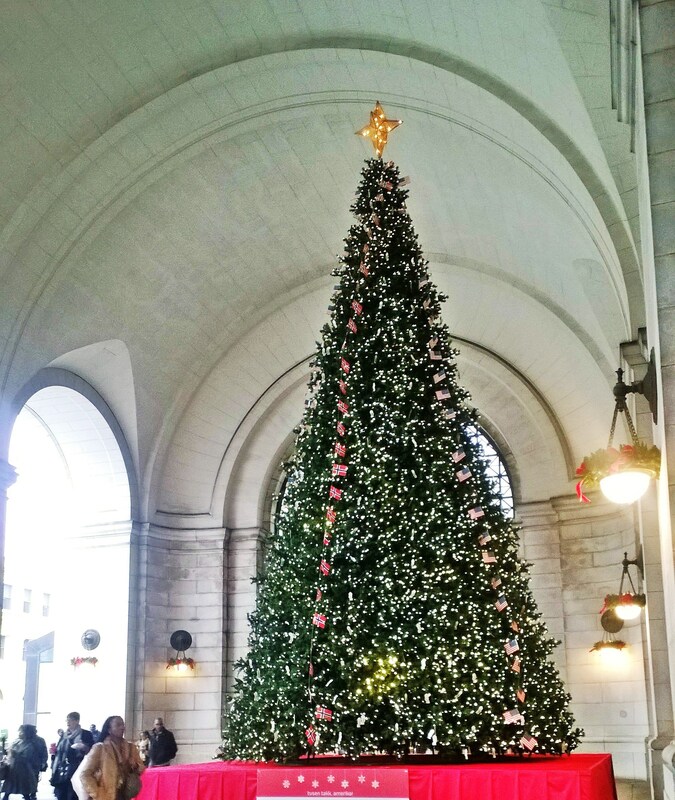 The tree comes decked out in Norwegian and American flags and is set up in Union Station. Next up is the classic Capitol Christmas Tree. 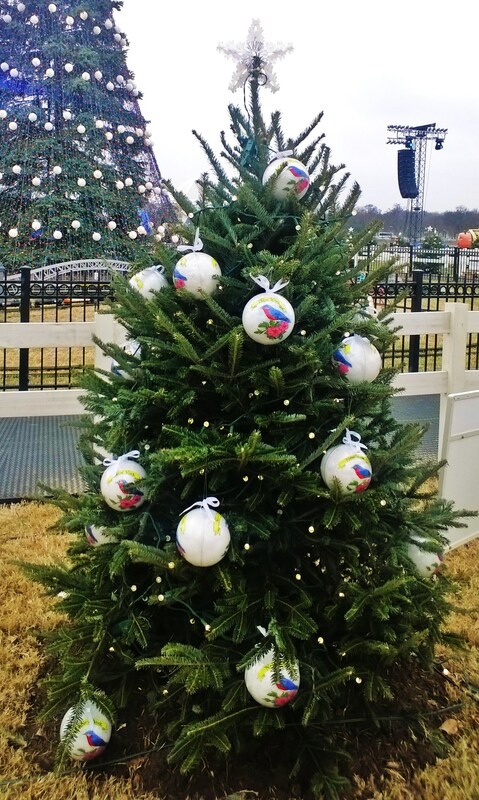 Also known as The People’s Tree, it is decorated with handmade ornaments from the residents of a particular state. Mostly children take part in creating the 5,000 individual ornaments which adorn the tree but here and there you can see the touches of local artists and adults. In these pictures you can see the purple and pink ribbons covered with loved one’s names. The National and State Christmas trees are celebrated with the National Christmas Tree Lighting. I arrived a day too early but just in time to be blocked by the event set-up from enjoying the trees. Each tree is uniquely decorated with state specific ornaments. 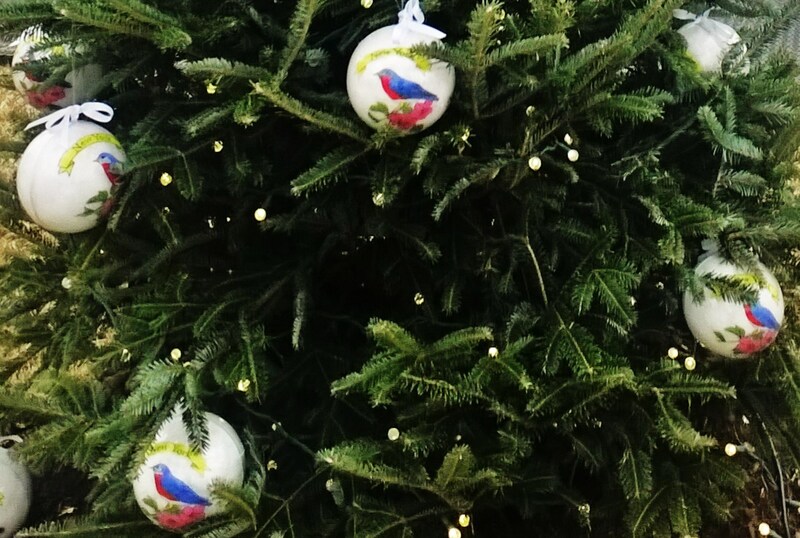 This year, the New York tree was decorated with our state bird, the Eastern Bluebird. I got to hear the bands preparing for the Tree Lighting Concert but was confused when they started up with Crazy Train – Ozzy wasn’t invited! Obligatory photo of The White House. These kids were part of a school group admiring the president’s decorations from afar. 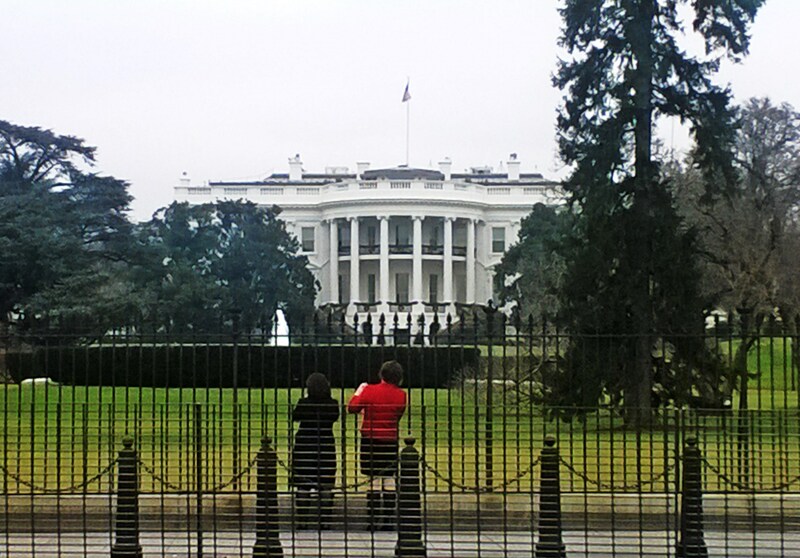 Kids gawking at the White House. And finally, not a Christmas Tree but a very pretty and very old one that I’m going to call the Love Tree. I love this tree. Right outside the Capitol Building. It was one of those occasions when juvenile graffiti comes off as romantic. And the thick trunk covered in carvings of infatuation and forever commitments was in various stages of healing. I’m sure most of these relationships did not last as long as their public declarations did. 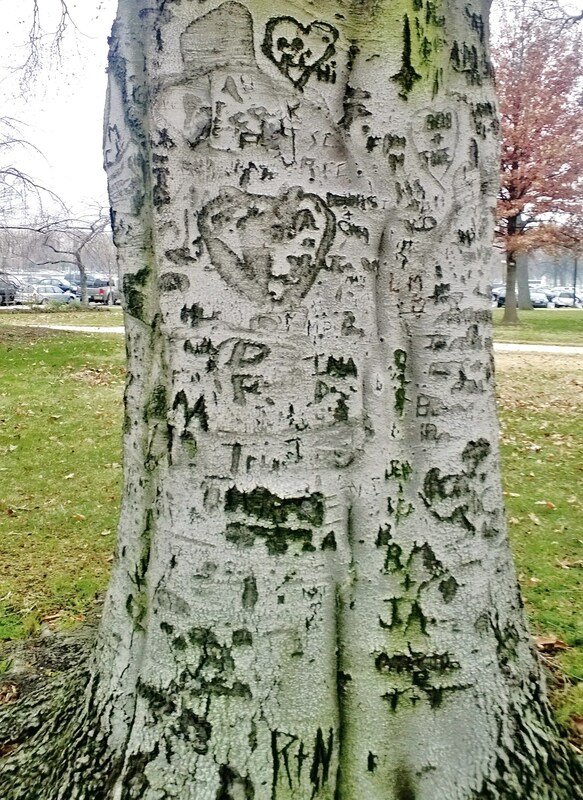 But maybe there’s still a couple out there who hacked their initials into the tree decades ago. I dubbed it the Love Tree. 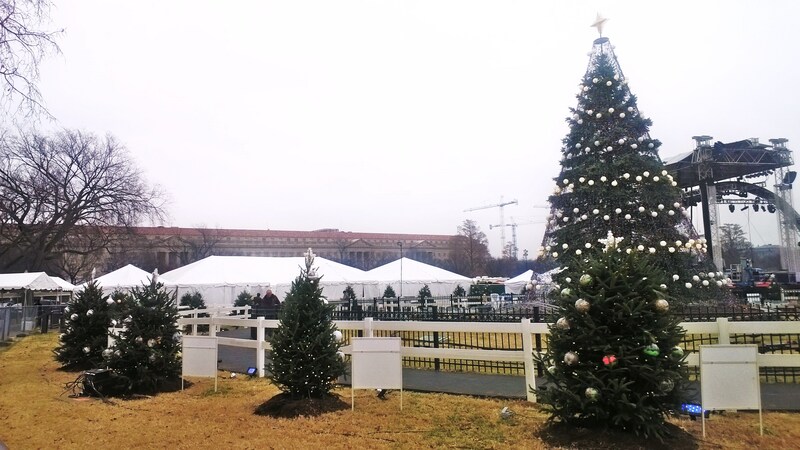 Thus ends this short collection of Washington DC Christmas (and not too Christmas) Trees. If you ever get a chance go and visit the capital when they’re calling for snow.